Born of an inspirational trip to Tokyo, Superdry’s style values have never wavered throughout its extraordinary journey. Superdry's core ethos of offering quality, value and design is as true today as it was in the early days. Now sold in more than 100 countries worldwide, Superdry is a true British fashion success story with a brand DNA synonymous with intricately detailed design, premium fabrics and British tailored cuts. With its roots based around Japanese imagery and vintage American sportswear, Superdry has evolved into the most diverse British lifestyle brand with a truly global reach. For incredible tailoring, super-soft cotton with authentic vintage washes, high-quality fabrics and iconic hand-drawn graphics, visit Superdry at London Stansted Airport next time you fly. 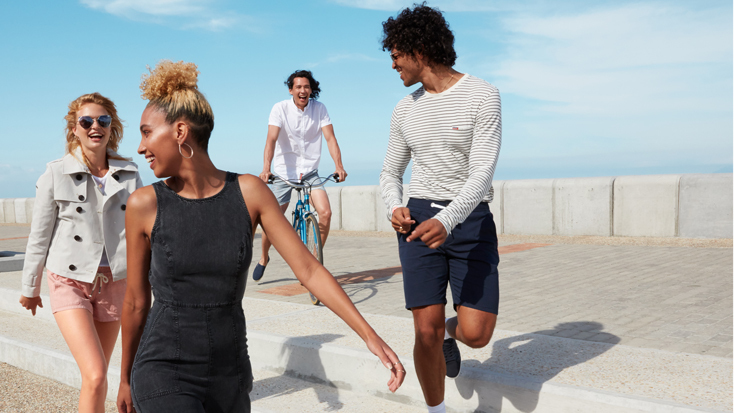 Fuel your senses this Summer and let Superdry take you on a journey where limits are limitless, energy levels are sky high and every day is filled with endless possibilities. Colourful, vibrant and infectious, Summer or Nothing turns up the heat to a whole new level encouraging you to get out and make the most of every single second. This season go big, go bright, all day, all night. No Matter what.